This oasis of beauty with the impressive Sigiriya Rock in the background is a recreation of the 2000 year old water garden that once thrived at the gardens of Sigiriya Rock Fortress. 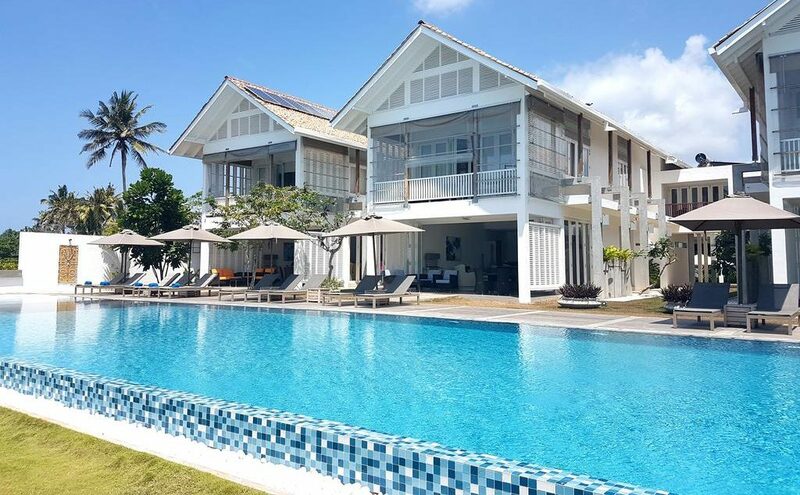 Spread across 35 acres of land the resort-styled boutique hotel has 30 free-standing villas tastefully blending into the surrounding beauty. 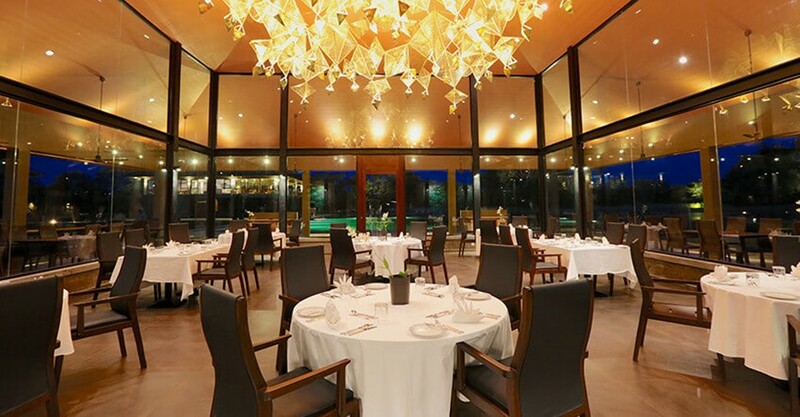 Designed by the renowned architect Channa Daswatte, the hotel provides 360° spectacular views with the most luxurious interiors. 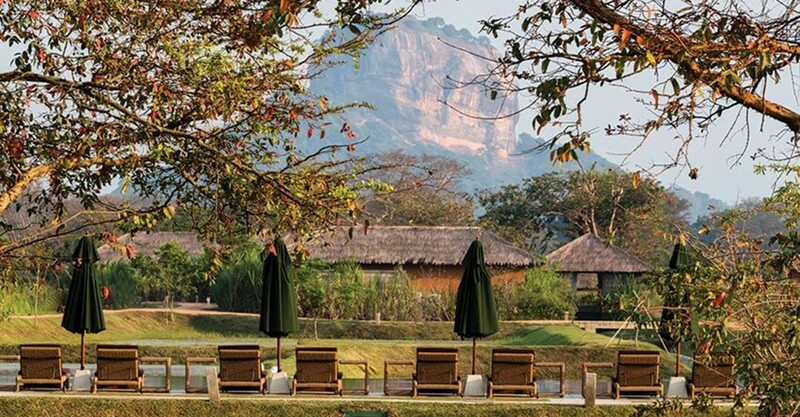 The view of Sigiriya, framed from the minimalist reception building is awe inspiring. 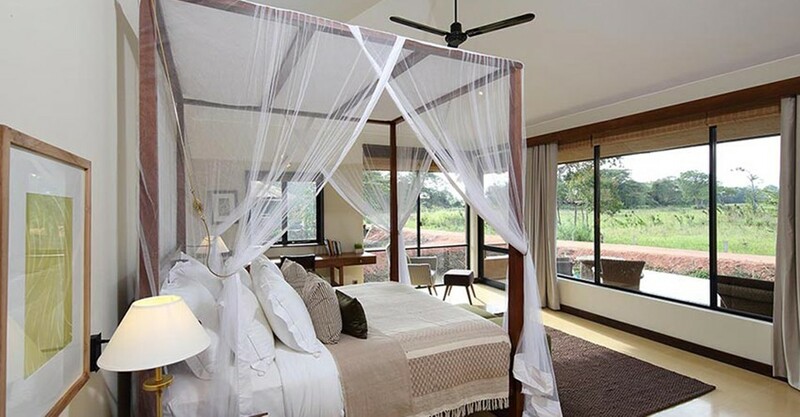 Villas of Water Garden Sigiriya are set along or astride pristine waterways and nestled among exotic flora. 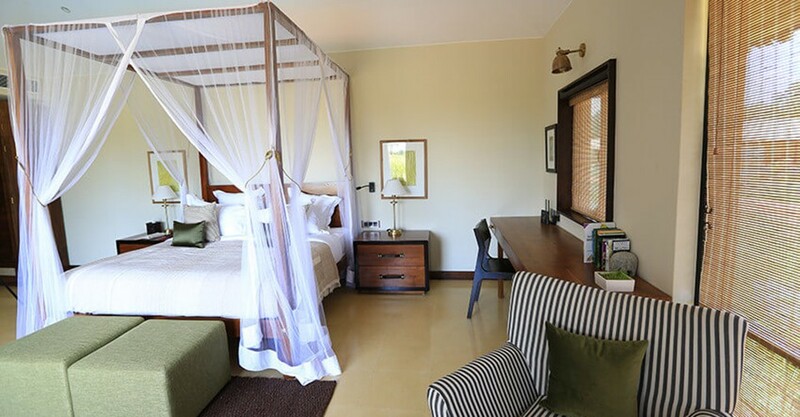 The stylish and spacious villas feature bathrooms with bathtubs and twin vanity sinks, satellite TV, mini bar, WiFi and tea and coffee making facility. These partially submerged villas of 950 sq.ft floor area contain one bedroom each and are furnished with a king sized bed. 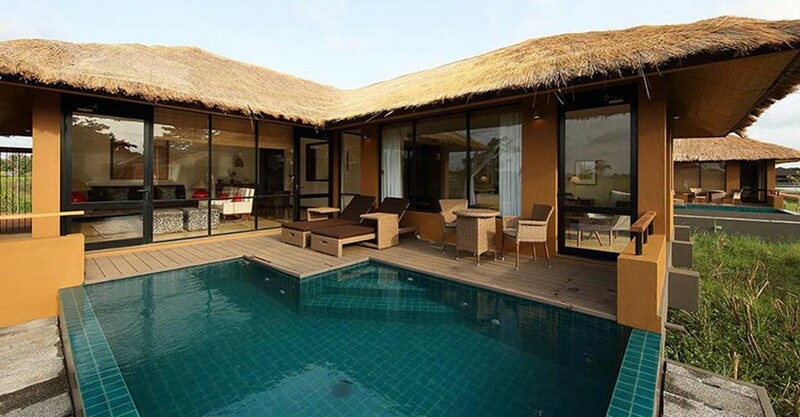 Each 1282 sq.ft villa comes with a plunge pool, an accompanying sundeck and unhampered views of the Sigiriya Rock. These feature one bedroom with a king sized bed. These two bedroom 2135 sq.ft villas come with a private plunge pool and Jacuzzi and spacious pool deck. 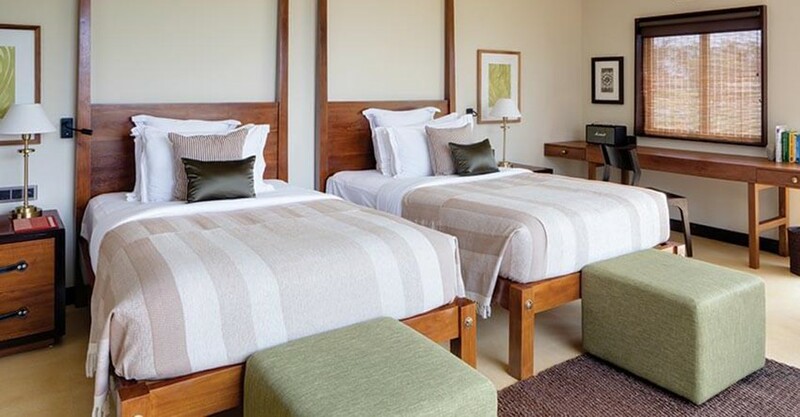 The master bedroom with king sized bed sits on the ground floor and the second bedroom furnished with two twin beds are on the upper floor. The hotel offers an array of dining options with organically grown produce. 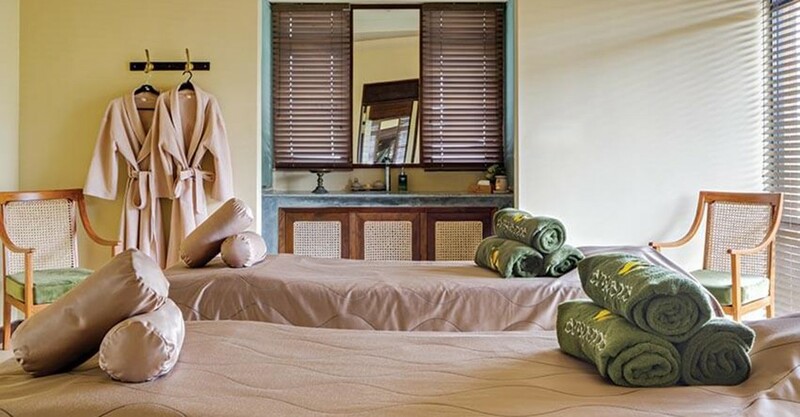 The spa at Water Garden Sigiriya is a tranquil haven providing a range of treatments including the world famous Balinese massages carried out by qualified professionals. An outdoor swimming pool, a well-equipped fitness centre, a helipad and a conference room are available for guests. Activities at the hotel include archery, billiards, croquet, cookery demonstrations and cycling within the property. A dedicated butler service is also offered.